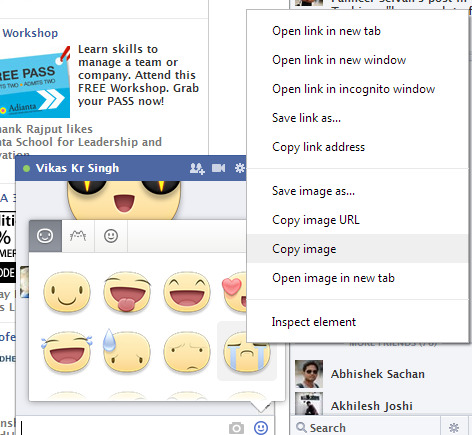 Today, Facebook rolled out Stickers for web chat too. Stickers were the part of its mobile apps since April. 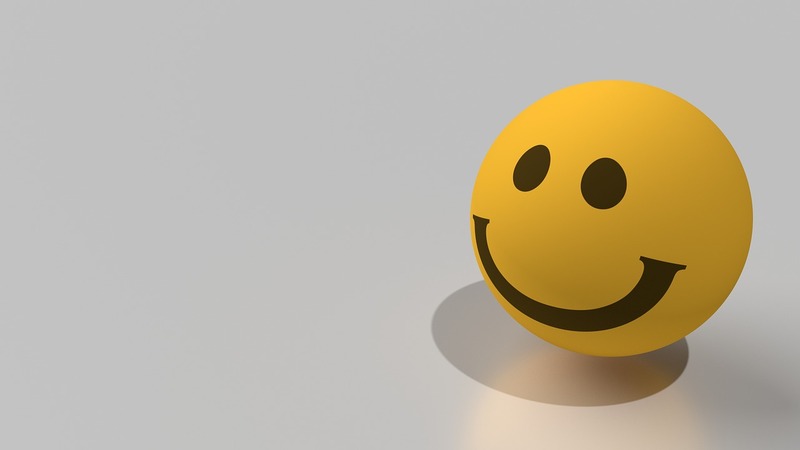 Stickers are the big photos that you can add to your chat to express your feelings. You can say that it is a special kind of emoticon. I personally like Stickers and i want to say thanks to Facebook for bringing it to web.Update: Now Facebook officially supports stickers in comments. So, you do not need to read this post. 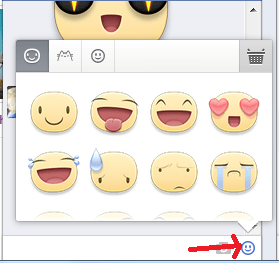 To add sticker in any Facebook conversation, you need to click on the emoticons icon at the lower right corner of the chat box. And you will see collection of stickers along with traditional Facebook emoticons. Adding Stickers to any Facebook chat conversation is easy. But what if you want to add stickers to a Facebook comment. Do not think much because Facebook already rolled out photos in comment few days back. So, it is possible to add any photo to comment. If we can add any photo to comment, then we can also add sticker. See the simple process below. Now go to the post to comment the stick. Click on comment box and then paste. You can either use CTRL+V or right click and select paste option. After few seconds of loading, sticker will appear on the comment. You can add any Sticker to Facebook comment.